I just scrolled through my own Tweets to revisit “2018 in the Life of Kari Wergeland.” As a breast cancer survivor, I have vowed to live as fully as I can, to refuse to “go gentle into that good night.” Well, it’s been a good year. I launched my first “real” poetry chapbook—I published a handful of other poems in journals and anthologies. I received acceptances on two short stories and one essay (due out in 2019). I sang in a holiday concert with the Central Coast Chorale in Lincoln County, Oregon. And I joined the Porthole Players in conjunction with the Newport Symphony Orchestra to perform as a soprano shepherdess in Amahl and the Night Visitors.I also landed some adjunct librarian hours with Sacramento City College. This will allow me to move into a swan song phase of a career I’ve loved and participated in since I first took a paraprofessional position in the Ashland Branch Library (Ashland, Oregon). I was still in high school at the time. I must confess, Amahl and the Night Visitors takes the prize in terms of personal satisfaction. I worked with a vocal coach (Rhodd Caldwell) and a director (Bonnie Ross) who were upbeat, supportive, and instructive. I shared this experience with an enthusiastic cast and a group of fine musicians, people who were kind, talented, professional, and a whole lot of fun. We performed to a full house both nights. It felt like we burst to life on opening night. I suspect our troupe came away feeling pretty good about the whole thing. If I never get to do this again, I can now say I checked that box. This was a bucket list item for me. Aesthetic considerations may seem inconsequential in the face of political turmoil, wildfires, floods, war, and famine, but I’m with Bonnie on thinking about how we can achieve acts of beauty in a troubled world. As a writer, I continue to ponder the purpose of my voice. What do I need to say? How should I say it? All sorts of thoughts come to mind—some are on my bucket list. Yet no matter how I end up answering these questions, I’d like Bonnie’s sentiment on beauty to be amongst any other reason I might have for writing or singing (or Tweeting or dealing with the public from the reference desk). How a person chooses to use their voice – even in the face of terrible conflict – can potentially move us all toward that fabulous choir sound, which can include major dissonances and minor chords, even as it transcends stalemates born of cheap lines. It’s a clear morning on the central Oregon Coast, the first one in a while. We’re hoping for a similar weather pattern a week from now, when the solar eclipse moves to barrel across the country (in actuality, the planet will turn, like it always does, beneath the eclipse). The spectacle will hit the Oregon Coast first, crossing a section that spans from Waldport to a stretch of coastline above Pacific City. People around here have been bracing themselves. Roads, parks, and area establishments are already overrun with extra tourists. Nightmare traffic is being predicted for next weekend (these tales are mildly reminiscent of predictions I once heeded when Y2K was looming). I’m hoping to avoid a traffic jam on Highway 101 by making it into the area of totality the night before the moon blocks our morning light. On the Oregon Coast, lots of people have been fretting about fog or low clouds getting in the way of the whole show. Today, however, the weather forecast for Newport on August 21 reveals a happy sun. Let’s hope this icon remains nice and yellow. On Sunday night, I’ll be attending a slumber party consisting of three women who don’t want to drive on the day of the eclipse. In the morning, we plan to have breakfast with friends of the hostess of this said party, so we can all view the eclipse from their eastward facing back deck. Sounds like as good a plan as any. Normally, I would be back at work by now, kicking off the new semester at Cuyamaca College, in El Cajon, California. I’ve just become a full-time writer (a.k.a. retiree). It’s strange to consider my former coworkers, the ones still living in my old routine. It’s even stranger to think about my own schedule, the unknowns before me. Writing is one of my reasons for this recent passage. And I have been writing most days. I’m particularly happy with two submissions that were born of intensity only a significant amount of time could have brought about. I’ve also got a number of short stories going, some poems, plus the first draft of a novel that should keep me grappling a while. Yet my works-in-progress pretty much recount worlds I encountered as a working woman. Indeed, my work life has proven to be fodder for much of what I have to say, in my fiction, anyway. Now that I have so much free time, I’m wondering where new material will come from. While my surroundings are gorgeous, the pace of life here is slow. Certainly, my imagination will continue to reach back to earlier times for nuggets that will help me round out this story or that poem. But what about current vicissitudes? Yes, I will spend time with a tribe of people who volunteer, work on their health, travel, and natter in coffee houses. I’ve already joined the Central Coast Chorale. I’m not suggesting there won’t be stories in these dimensions, but I’ve just released a big chunk of me. I’ve been thinking a lot about how my days in higher education kept my self-esteem whole. I had my place on a fine team—we were accomplishing something. I was continually learning new technologies. I worked at developing my teaching style. I enjoyed the college culture—the camaraderie I experienced with passionate educators. I don’t regret my decision to retire, but I do feel the need to remake the fabric of my life so that I actually have something to say. I will note, the solar eclipse has already made its way into one of my short stories. While my character has decided to walk some eight miles along the beach to Waldport, in order to get into the area of totality, she still doesn’t know what this event will mean for her life. Hopefully her creator will come up with something after she experiences the little gathering on the back deck of the home of these folks she hasn’t yet met, the ones living in Newport. Update (8/21/17) Newport, Oregon, comes through! I recently saw a San Diego Repertory Theatre production, A Weekend with Pablo Picasso, directed by Todd Salovey. There is much to say about this marvelous one-man show, starring Herbert Siguenza—he plays Picasso. It is certainly a worthy pick for artists – of any kind – in search of inspiration. Yet I want to focus on one Picasso’s comments in the play (I have no idea if the actual artist actually said it or not). Picasso says something to the effect that a painter should paint for a living—not try to support his painting by working in another profession. In other words, a painter paints. Of course, most of us don’t have the luxury being able to earn a decent paycheck through some kind of art form. And those who do attempt to hold on to a viable job, as we pursue our dream on the side, face a number of challenges. My biggest problem has always been the nuisance of fits and starts, a form of debilitating impotence. Time isn’t everything. One of my writer friends once warned me that a sea of time doesn’t necessarily mean a writer will get more done. She thought a challenging schedule could actually spur a writer to get down to it, be more prolific, even. To her mind, a tight schedule left no room for procrastination. Still, I have wondered how much more work I would have completed by now if I hadn’t had to make a living. It can be frustrating to reach out for a shooting star—feel the thrill of a new direction—only to watch it fizzle out. To be sure, I am usually taken aback when a fresh sense of momentum leans into my writing—momentum that can feel like heat or heightened living. It can appear effortless—alive—like a true reason for living. Then, somehow, there is just too much to do, and all of that energy ends up yellowing in a drawer. If a lot of time passes, detachment disorder sets in, leaving only a shadowy memory of what was once enthusiasm. Of course, this enthusiasm might make a welcome return to begin a new project, even as it betrays the work that never came to fruition. To ameliorate this type of struggle, I have found it is a good idea to fight for completion some of the time. Otherwise, the entire vow to write will threaten to slide into the garage, only to wait patiently for the next trip to Goodwill. Sometimes, I just set a specific goal and make that my sole reason for writing—instead of, say, well-crafted lines or crisp imagery. I’m much happier, though, when it feels like I’m working inside a kiln, and I don’t need any reason for writing except the pure joy of it. That phenomenon doesn’t come about every day. Besides, a startling sense of joy is tough to run through the juicer when the nitty-gritty hassles of work demand to be the top five priorities. School is back in session, and I haven’t written anything new in weeks. My house, my mind, and my schedule have been too cluttered. As I already noted, I did make it to the theater. I sat in that darkened space watching Picasso dance before a set designed with the stuff of creativity—old shoes, vases, bicycle parts, paintbrushes, canvases, bread, and wine—and I could only feel envy for the life this artist must have led. For I am doing what he apparently warned against: I am living two lives, ultimately veering away from the source. I guess it’s time to start to learn how to fit these lives together. Years ago book critic Michael Upchurch told me how it was virtually impossible to keep up with all of the noteworthy books being published, because, as he put it, “we are living through a renaissance.” I immediately wondered which titles would still be around some five hundred years from now, when our renaissance is being taught to undergraduates. Creative America does appear to be alive and well. The myriad workshops available to writers, actors, musicians, not to mention various blends of these categories, is noticeably lush. I recently took a workshop with Ann Randolph involving both writing and improvisation (in an earlier post I mistakenly called it a performance poetry workshop). Ann Randolph is a self-starter who has produced, performed in, and written her own one-woman shows. I was privileged to see her multifaceted production of Loveland at Rhythmix Cultural Works in Alameda, California, the night before our workshop began. Her portrayal of Frannie Potts—who is trying to come to terms with the life and death of her mother—is funny, painful, bold, and skillfully executed. By the way, Randolph also plays Frannie’s mother, as well as the other characters in Frannie’s life, and quite a cast it is. She flips between these characters with remarkable speed and somehow manages to be “in character,” no matter which character it is. While Randolph exudes the sort of talent that could make the aspiring writer and/or performer want to curl into fetal position, she checks it at the door and moves into an unassuming stance before she guides other artists. She’s actually gotten into the habit of teaching a writing workshop to audience members right after her 90-minute show, which must feel like a marathon. During our two-day Write Your Life workshop, which was offered through 27 Powers (www.27powers.org), I zipped through all of the writing exercises without batting an eye. The improvisation activities were another matter. Not only did some negative feelings surface around the use of role-playing in the workplace (former staff development workshops), a much younger artist immediately began to kick and scream. I pretty much bowled my way though each exercise with resistance set on high. By the end of the first day I had “been there done that.” If I hadn’t been participating with a friend, I might have passed on day two. But that’s when everything gelled. 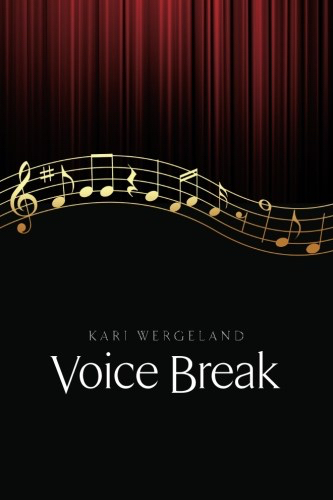 Voice Break describes how I began singing in my twenties, only to hit a wall. During those days I also studied acting and dance. While I did receive the most encouraging feedback on my singing, I had some vague dream about how I might do it all. In the end, I threw in the towel on the performing arts world altogether and began to fulfill my true dream, which was to become a writer (like so many other people in this literary renaissance). I dismissed those performing arts classes as a phase, as therapy, as the sort of activity I needed to delve into in order to find myself. During the workshop, I turned out pieces centered on how I’d written these explorations off. My subject matter was clearly driven by the improvisation exercises, which I was not expecting to face. I found myself writing about all of those feelings of failure that once arose in me when I didn’t hit the mark. I wrote about the awkward instrument I used to work with, the frozen body that wouldn’t move the way I wanted, wouldn’t allow my true voice to come through. Micro-movements are the building blocks of character—the little nuances, the fears we express in nervous laughter. They are hard to discover when you can’t find your body, when you shoulders are up in your ears and you can’t feel your breath, when you feel pressured to be clever, look funny, and come up with that brilliant flick of the hand in time with the killer line you have just made up. I’d thought I’d come to terms with this period, especially as I watched my confidence as a writer slowly begin to grow. In those early years of my writing life, I’d been particularly taken by Natalie Goldberg’s discussion of the monkey mind, the critical inner monologue that runs as the artist tries to work. I finally had an effective way of defining this creature and nailing her down. I learned how to get out of my own way and write. Yet as I stood before a fellow player on the stage—as I stood before the rest of the retreatants in the workshop trying to be good—it was clear a different monkey had never completely left me. There she was chattering away, reminding me of how I’d blown it. This surprised me. Like I noted, I’d written off my involvement in the performing arts as a learning experience, which remains a fair assessment. So I hadn’t expected this material to be so fierce. I hadn’t expected the feelings to be so immediate. As a writer, I rarely beat up on myself anymore. I just try to see what works and what doesn’t. Yet as a performer, I was quick to dive right back into the sort of habitual thinking that can only sabotage one’s work. In the end, I was forced to consider how I’d ignored the aspiration that once motivated me to try to perform in the first place. As the pile of pieces centered on this era of my life grew, I found myself facing what I had so firmly squelched—the fact that my desire to perform had been real, not just a therapy exercise. Yet if we are currently living through a literary renaissance, we are truly experiencing a performing arts renaissance. It’s daunting to get up on the stage in the midst of all of that talent. Besides, I expect I only want to make peace with singing-acting-dancing monkey. While I do sing in a choir these days, writing is surely enough creative activity for one voice. I waffled for years over the MFA possibility before I found myself checking into the dorms. With three novel manuscripts beyond the first draft stage under my belt, I knew I was disciplined enough to stick to a writing schedule, even as I remained committed to my official career. No, I wasn’t worried about discipline. In my daily life I was struggling with a sense of isolation as I interacted with educators and librarians, but very few writers. The MFA program offered through Pacific University provided the writing nest I craved, not to mention another genre to work on, and I didn’t look back. Not only did a new pile of poems continue to grow on my computer, one instructor encouraged me to put a musical cover on Voice Break and publish it. While he was no doubt thinking of a chapbook, I decided to take the plunge with CreateSpace in order to produce a print-on-demand paperback. 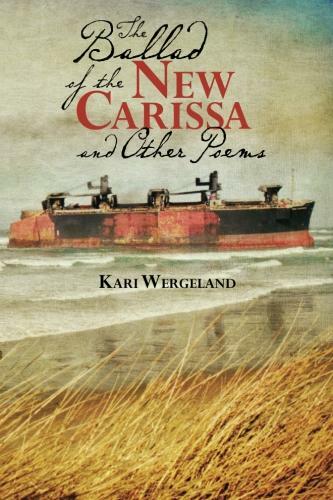 This process was so sustaining, I followed suit with a book that included “The Ballad of the New Carissa,” as I figured a traditional poem running close to 3000 words would be a challenging to place. Now I’m in the post-MFA doldrums, trying to feed my writing life on my own once more, not to mention get work out there. Fortunately, one of my fellow students lives in the area, and we’ve started our own writing group. And I finally stepped foot into the San Diego Writers, Ink facility, an edgy loft in downtown San Diego where workshops are regularly conducted (I am currently taking a poetry class from Steve Kowit). While I’ve had plenty of poems tucked away for some time now, I’d been avoiding the publishing process, because I was already burnt out from trying to publish my two of my novels. Yet after filing my diploma away, I figured my poetry writing degree would go to waste if I didn’t try to place some of my work. I just wasn’t completely sure of how to go about it. I did get lucky in the beginning, so I decided to tackle the whole process methodically. I took a stab at entering as many contests as I could find (no wins yet). Then I decided to submit almost every viable poem I’d written to one journal or another. I quickly learned that I was indeed lucky with those first submissions. As the rejections came pouring in, I decided I should probably just submit my best poems (if only I could determine which ones those were). A bunch of these pieces are currently “pending response,” and many have already been rejected. Duotrope, an online writing resource, has become indispensible in this whole process. Their submissions tracker, which costs $50 a year, allows writers to easily organize submissions in an online database. This service also provides invaluable, up-to-date, information on literary publications. With a few keystrokes, a writer can quickly determine where they’ve sent any given piece, as well as figure out how long a particular publication has held it. Their weekly poetry newsletter has inspired me to try yet a third approach: to focus on journals soliciting themed submissions. Today, for example, I submitted poems to publications looking for poetry on Harbors & Harbor Towns, Rebirth, Sound, and finally, Trash and Treasure. We’ll see if this method increases my odds. As for the novels, well… I’ve got to get back to them. When I entered the MFA program, I already possessed several file folders full of rejections on the first two. I was definitely fishing for a reason to continue as I focused on the joy of poetry writing in graduate school. I’ve now had ample time to lick my wounds, so I figured it couldn’t hurt to enter my second novel manuscript into some viable young adult novel contests (it does feel good to get back to this). IMHO, my first novel needs to be completely revamped (on the to-do list). And the last one was never finished (also on the to-do list). It’s been almost a year since I’ve graduated from Pacific University, and I continue to feel a certain momentum egging on my writing life. Let’s see if it holds up.